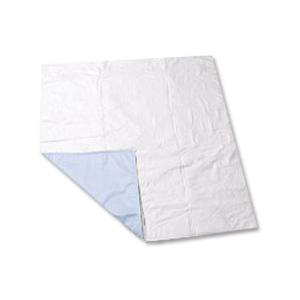 Salk SleepDri Budget Reusable Underpads has a half poly and half cotton top cover that is quilted to a highly absorbent poly rayon soaker. Waterproof backing is PVC coated. 50/50 Poly/cotton top cover quilted to a highly absorbent poly/rayon soaker. Waterproof backing is PVC coated.